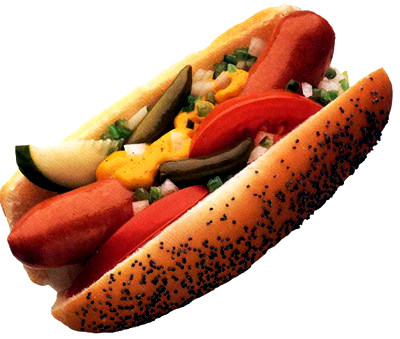 I am extremely interested in trying a Chicago Hot Dog. Is there anyplace in the Capital Region that makes them? Or, any Chicago expats that can make me one? I WILL PAY FOR IT, OF COURSE. Pretty sure the Nipper truck has all the toppings you need, doesn’t quite make it a “Chicago” dog though. Thanks. If only I could get to Albany on my lunch break! Too far. I’m not quite so sure about the difference B is talking about, but below is the Nipper site. I bet if you rallied your work troops, you could compell Nipper to come to you.